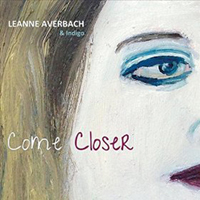 COME CLOSER is Leanne Averbach’s second CD collaboration with the band Indigo, building on Fever's sultry fusion of poetry with original and classic jazz standard compositions. Come Closer adds rock and electronic fusion sounds to the mix, drawing you again into wild tales of passion, politics and love through the ever-seeking poet’s lens. Copyright © 2015 Leanne Averbach. All rights reserved. 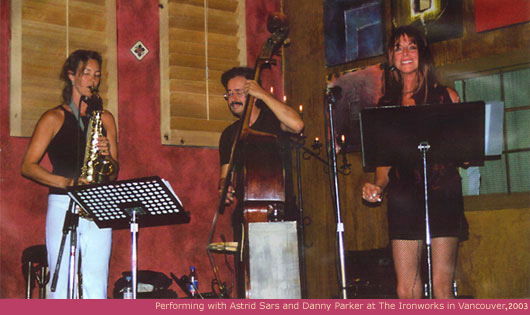 FEVER offers up a sultry fusion of spoken word and jazz. Featuring 12 poems produced, written and spoken by Leanne, with original music by Indigo: Astrid Sars (vocals, sax, flute); Danny Parker (double bass, ud); Glenna Powrie (piano). Poetry performed on this CD also appears in Leanne's book fever. "The poems swing from worldly to wild."